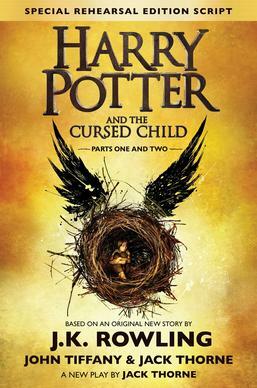 Based on an original new story by J.K. Rowling, Jack Thorne and John Tiffany, a new play by Jack Thorne,Harry Potter and the Cursed Child is the eighth story in the Harry Potter series and the first official Harry Potter story to be presented on stage. The play will receive its world premiere in London’s West End on July 30, 2016. Definitely not what I expected. I’m unsure what I expected, but this was not it. This wasn’t exactly a story so much as it was a short story. For people complaining that it isn’t a “real book” and that it’s only a play, if you read it, you’ll understand why it’s only a play. A lot of things are glanced over, mentioned once or twice and then eluded to without actually showing it (Harry’s relationship with his son James and daughter Lily, constantly compared to how he doesn’t seem to get on well with Albus). What I did like, quite a lot, was that Albus did have the same spirit as Harry and made friends with someone who seemed as awkward at making friends as him, and stayed loyal to him. I enjoyed getting to see Albus and Scorpiousgo on adventures and get into mischief. I didn’t like the flashbacks to Harry’s past, things we were supposed to assume had happened between him and his aunt. This detracted in some ways from what we were seen in the 7 Harry Potter books, though some of these flashbacks were an odd sort of foreshadowing. The play does well to showcase that every action and statement has a consequence, and that it is important to think both before speaking and acting so that you do not do something in haste that you’ll regret. Overall, I quite liked the story, but I think it would have made a lot more sense if it focused more around Albus and less around the golden trio of Ron, Harry, and Hermione. It was disconcerting to have the trio constantly showing up at Hogwarts which is, for all intents and purposes, much like a boarding school. During the 7 original books, I believe that Lucius Malfoy only showed up to the school a handful of times, and all of those were when there had been a dire emergency/issue going on (think of book two, Harry Potter and the Chamber of Secrets). 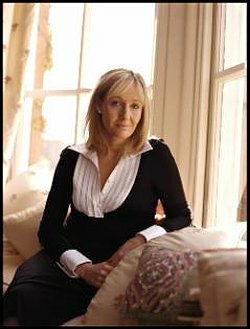 For information on J. K. Rowling, please view her author page. For more information on Jack Thorne and John Tiffany, click their respective names.